The Premise from the Publisher: "A sister. A baby. A man who watches from the trees. Fara and her husband buy a house with a disturbing history that reawakens memories of her own family tragedy. Maddy still lives in the house, once a hippie commune, where her daughter was kidnapped twenty-seven years ago. Rose grew up isolated with her mother in the backwoods north of Montreal. Now in the city, she questions the silence and deception that shaped her upbringing. Fara, Maddy, and Rose meet in Montreal’s historic Pointe St-Charles, a rundown neighbourhood on the cusp of gentrification. 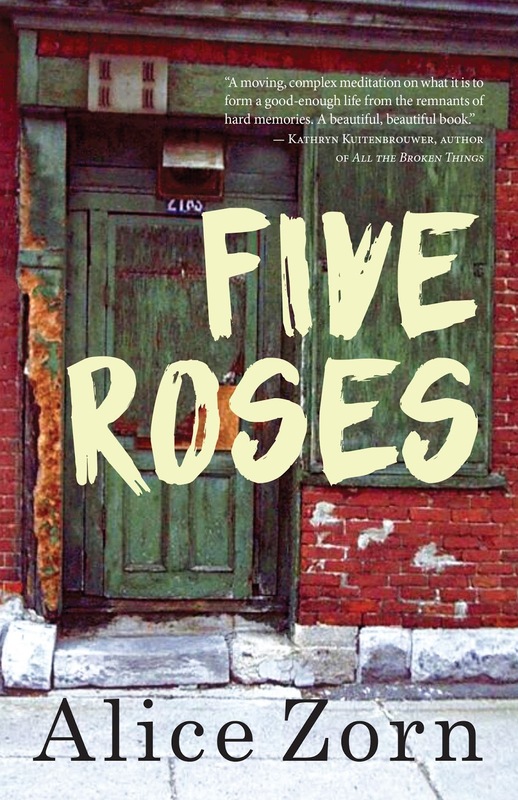 Against a backdrop of abandonment, loss, and revitalization, the women must confront troubling secrets in order to rebuild their lives.Zorn deftly interweaves the rich yet fragile lives of three very different people into a story of strength and friendship" (Dundurn Press). My overall thoughts and review: When I first read the premise of this book, I was instantly interested because of the setting of Montreal. I've been so many times in the past, and it has been a few years since I've visited, but it is definitely one of my favorite cities in Canada. I had quite a nostalgic feeling reading it and when I turned the last page, I instantly starting looking at flights. Zorn describes such a rich setting and it is so accurate to what I experienced in the past. I felt like I was walking through Montreal with the way Zorn wrote about it. I felt like the setting was a character as well alongside the three women. I found it really interesting how Zorn weaves together three narratives: Fara, Maddy, and Rose. It is hard to write from multiple perspectives because sometimes it can be difficult to distinguish between them all, but I found that Zorn offered very distinctive voices for each character. What Zorn delivers is small snippets of their daily life, which I found to be slow in the beginning chapters, but it definitely picked up pace halfway through when the past of each woman is revealed. 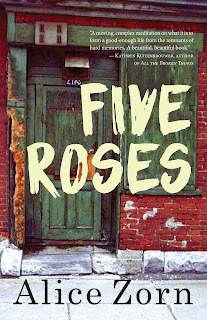 I will say, I really enjoyed Rose's chapters and how she thought back on her childhood with her Maman and living in the cabin in the woods. Seeing how her childhood kind of shape the way she is and how she interacts with others. I also really liked learning about Fara's past and how she dealt with her sister's tragic passing, especially with buying a house that made her confront her past daily. Overall, I thought that this was a great read that offered a look into how certain events, traumatic experiences, tragedies, shape our identity. The reader will get to see three different perspectives, three different stories and will most likely empathize with a character or two. I thought this tackled themes of family, friendship, loss/grief, and trauma really well. This was my first time reading something by Alice Zorn and I look forward to picking up her other works. Dundurn Press, Chapters/Indigo, Kobo Books, and Amazon. Disclaimer: I received an advanced reader's copy of this book in exchange for participation in the blog tour and an honest review. All opinions are my own. Copyright 2017 - Padfoot's Library Blog. Simple theme. Powered by Blogger.